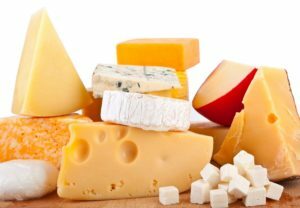 Ukraine in January and February 2019 exported 1,010 tonnes of cheese, which was 3.2% up on January and February 2018. 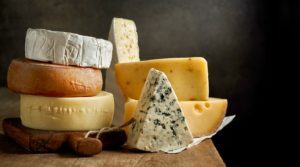 According to customs statistics released by Ukraine’s State Fiscal Service (SFS), cheese exports in monetary terms amounted to $3.5 million, which was 2.8% lower than the figure for the first two months of 2018. At the same time, imports of cheese in January and February 2019 totaled 2,600 tonnes, which was 46.3% more than in January and February last year. The imports in monetary terms increased 35.2%, to $12.3 million. Exports of Ukrainian creamery butter in January and February 2019 decreased almost 37.5%, to 3,900 tonnes. The exports in monetary terms decreased 40.2%, to $15.9 million. Imports of creamery butter, according to the SFS, decreased by 44.5%, to 152 tonnes ($983,000). In January and February 2019, exports of condensed milk and cream decreased by 32.4%, to 3,600 tonnes. Ukraine supplied condensed milk and cream to the tune of $6.5 million, which was 25.3% less than in January and February 2018. Their imports decreased 7.5%, to 309 tonnes ($633,000). 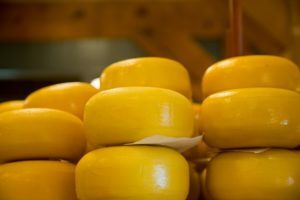 Ukraine in January 2019 exported 455 tonnes of cheese, which was 23.5% up on January 2018. 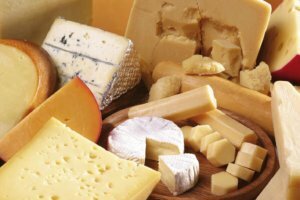 According to customs statistics released by Ukraine’s State Fiscal Service (SFS), cheese exports in monetary terms amounted to $1.5 million, which was 20% higher than the figure for the first month of 2018. At the same time, imports of cheese in January 2019 totaled 1,180 tonnes, which was 35.7% more than in January last year. The imports in monetary terms increased by 30%, to $5.6 million. Exports of Ukrainian creamery butter in January 2019 decreased by 28.5%, to 1,750 tonnes. The exports in monetary terms decreased by 37%, to $7.1 million. Imports of creamery butter, according to the SFS, decreased by 21%, to 90 tonnes ($585,000). In January 2019, exports of condensed milk and cream decreased by 9%, to 2,150 tonnes. Ukraine supplied condensed milk and cream to the tune of $3.67 million, which was 3% less than in January 2018. Their imports decreased by 21%, to 167 tonnes ($325,000). 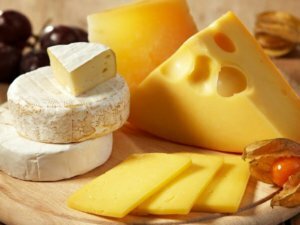 Ukraine exported 5,390 tonnes of cheese in January-August 2018, which is 4.1% less than in the same period in 2017. According to customs statistics released by the State Fiscal Service, in monetary terms exports amounted to $20.04 million, and this is 2.6% more than a year ago. At the same time, cheese imports in January-August 2018 amounted to 7,810 tonnes, which is 30% more than in the same period in 2017. In terms of money, this indicator increased by 41.2%, to $38.31 million. Exports of butter from Ukraine in January-August this year rose by 19.2%, to 21,410 tonnes. In monetary terms, this figure grew by 32.2% and amounted to $92.43 million. According to the State Fiscal Service, imports of this product increased 2.4 times, to 710 tonnes ($4.84 million). Exports of milk and cream (condensed) in January-August decreased 19.8%, to 26,640 tonnes. Ukraine supplied condensed milk and cream for a total of $43.77 million against $57.07 million in January-August 2017. Imports of this group of goods increased by 1.7 times, to 1,430 tonnes ($3.51 million).